In second ceasefire violation in less than 24 hours, Pakistani troops today resorted to mortar shelling and firing by automatic weapons along the Line of Control (LoC) in Pooch district of Jammu and Kashmir, prompting the army to retaliate. "There was unprovoked ceasefire violation by Pakistan Army in Poonch sector from 0640 hours today, using 82 mm mortars, automatic weapons," a defence spokesman said. 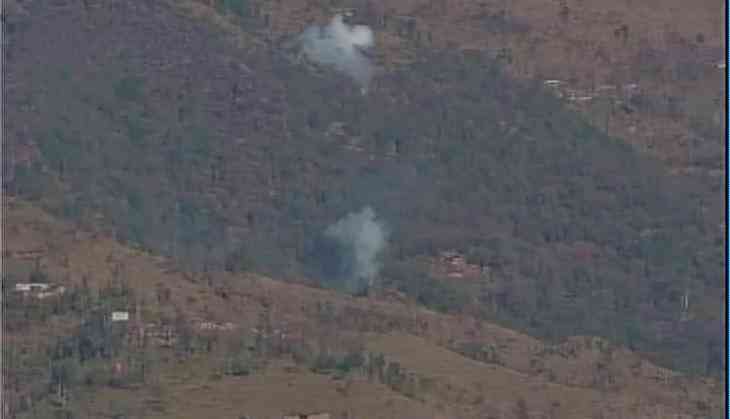 This is the second ceasefire violation by Pakistani troops in Poonch district since yesterday. Yesterday, Pakistani troops had violated the ceasefire by resorting to firing and mortar shelling in Krishnagati sector along the LoC in Pooch district. Condemning Pakistan for the ceasefire violation, Union minister Rajyavardhan Singh Rathore said, "It is an old habit of Pakistan that it always resorts to unprovoked firing along the LoC whenever there is a festival." The Union Minister of State for Information and Broadcasting said that the soldiers were guarding the border with the same determination as "we vow to end evil things on Holi". Union Minister of State in the Prime Minister's Office Jitendra Singh said, "I think the Indian government, Indian agencies are capable of meeting any kind of challenge. You must trust the Modi government to give a befitting response (to ceasefire violations by Pakistan).